Inadequate human resources are a major constraint to achieving global health priorities, such as meeting the Sustainable Development Goals and expanding priority health programmes. Within countries, health workers are not evenly distributed, and shortages often most severe in rural areas and in the public sector. Human resources for health challenges are compounded by inadequate information systems and a lack of data on the career paths of health workers, which are necessary for effective human resource planning and management. 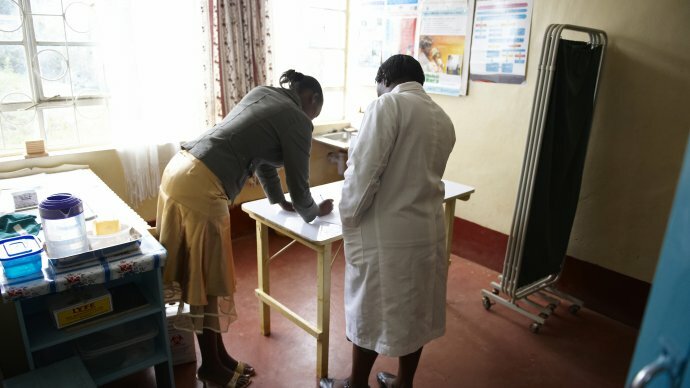 To remedy the lack of data on health worker movements in South Africa, researchers tracked a cohort of 377 nursing graduates from Gauteng (urban) and North West (rural) provinces. The research aimed to follow the nurses decisions and progress over time, in particular with regard to where they work, when they move, where they move to and the reasons for the decisions. It also aimed to identify effective, practical interventions to improve health worker retention in rural areas and public sector services. In India, a cohort consisting of nurse graduates from private and public training institutions in Tamil Nadu state were tracked for 4 years from 2012-2016. This research also contributed to the work investigating the role of private nurse training institutions. Nurses face many stressors in their day-to-day work including heavy workloads, time pressures and managing relations with other health professions. In underserved areas, such as rural locations, these stressors are exacerbated by staff shortages, adverse working environments, a lack of basic utilities and poor infrastructure. In South Africa, six years after graduation, 3 out of 4 nurses remained in the public sector, and the proportion of nurses in rural areas fell only slightly from 28% to 25%. The number of nurses remaining in South Africa and continuing to work in the public sector and rural areas is higher than expected. Resilience is key to retention of nurses in the public sector. Resilient nurses strive to provide quality health care in the face of adversity, and to actively try to improve services and working conditions. Resilience is promoted by supportive supervision, flexible working conditions and educational opportunities. The greatest determinant of rural retention was nurses’ background. Nurses who were exposed to rural life, either as part of their upbringing or through training, were more likely to work in rural posts. The research has implications for policies that aim to expand the number of nurses working in rural areas. Rural recruitment of nurse students should be an important strategy for attracting and retaining nurses to work in rural areas. Educational institutions should modify their selection policies to prioritise such students, further, new training institutions may also be better located in rural areas to attract rural workers. Recruitment processes of nursing students could try to ascertain the extent to which potential candidates show signs of dedication towards patients, or those who demonstrate a commitment to improving patients’ wellbeing. These nurses are also more likely to choose rural posts.